He is a hustler. He uses music as his platform to inspire, bring growth and spread knowledge. If you have ever seen him play records you will see among the crowd a solid core of community friends up front and center. Bruce Bailey is a true Detroiter. Being born and raised in Detroit directly developed his love for music, he says. “After all, from Motown to techno, us ‘Motor Citians’ have some substantial musical roots. Detroit is known for hard working individuals and I guess that really rubbed off on me.” Initially entering the scene as a promoter he decided to delve deeper into mixing records as he became witness to the inexplicable energy created by the music, the DJ, and the crowd. Bruce Bailey at Charivari 2016. Photo by Alicia Greco. Throughout Detroit he has held residencies in the city’s most reputable spots. Bailey’s first was at Cheeks, a legendary establishment where Jeff Mills’ Wizard persona came to fruition. The spot was also home to moments like the debut of Inner City’s “Good Life”. In 1991 Bailey went on to become head promoter and resident DJ at Club 246 where he stayed for seven years. It was during this time that DJ Minx got her start, Delano Smith got back behind the decks, and the stage saw the likes of so many local favorites like Norm Talley, Moodymann, Al Ester, and Terrence Parker. There is an undeniable uniqueness to the Detroit hustle. It is grassroots, unrelenting and if you have seen it before you know there is a genuine confidence embodied in the energy. This is why you see (in many Detroit DJs and producers) this particular attitude which makes their presence so special. Especially during the time before technology, there was a limited accessibility in sharing sounds. It took, as Bailey and so many others did, pushing out hundreds of cassette mixtapes. Speaking to people face-to-face and developing real-time connections was the only accessible avenue anyone had to make their name known. In Bailey’s mind it’s how you set yourself apart. “Here in Detroit you’d never solely make it in the DJ business if you sat back and waited for clients to contact you. If you excelled here in The D, you must be liked, have a solid game plan and also the intellect to overcome obstacles – hell, I always say if it was easy everyone would be doing it (successfully),” he says. When you see Bailey play on home turf it is so apparent that he has developed and maintained relationships throughout the years. Keeping those personal connections alive is a foundation for success is just about anything. 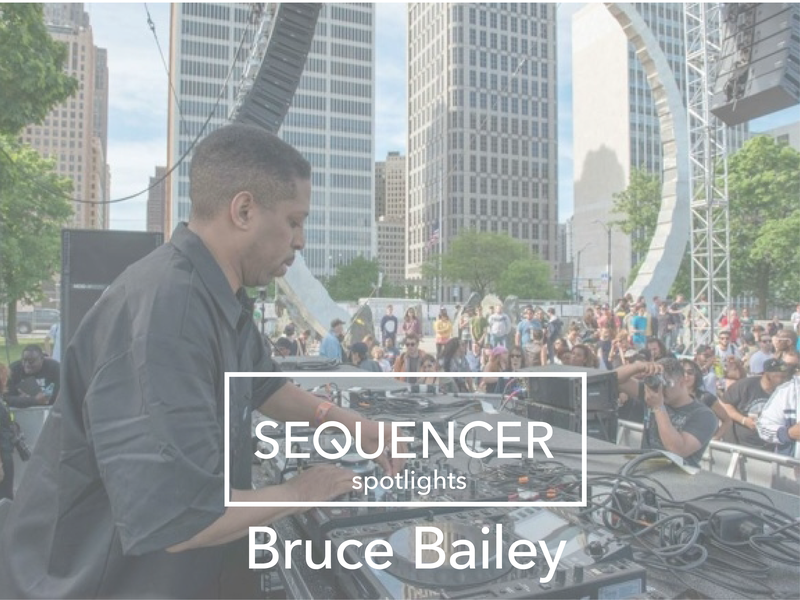 Catch Bruce Saturday night in Rochester for Signal > Noise.